While Round 4 of the Top 16 is still in the early stages of the competition, teams know that they can’t afford to be falling by the wayside or slipping behind. There was a strong level of intensity to the matches played on Thursday night, providing plenty of big moments and talking points for all who tuned in or turned up at the games. The two games in Group E on Thursday night were clinched by the home teams comfortably in the end, but there were plenty of great moments of drama throughout the course of the evening. The hosts remain unbeaten at home in the Top 16 and they move on to a 3-1 record in Group E after this win against Greek opponents. Panathinaikos slipped to a 1-3 record and know that they need to get started soon or their Top 16 exploits may be over before too long. Dontaye Draper was in excellent form for the winning side, grabbing 20 points while Malcolm Delaney offered up 14 points, 5 rebounds and 6 assists. Anthony Randolph grabbed 11 points for the hosts, all in first half. For the Greek side, James Feldeine provided 13 points, both Vladimir Jankovic and Antonis Fotsis provided 12 points and Miroslav Raduljica offered up 11 points. The hosts got off to a blistering start with a 12-0 run for the hosts but Panathianikos battled back quickly to level it at 22-22 after 10 minutes and at half-time, the away side led 38-39. With just three minutes left on the clock, the game was level at 64-64 but Dontaye bragged three late three-pointers and there was a notable gap by the close of the evening. 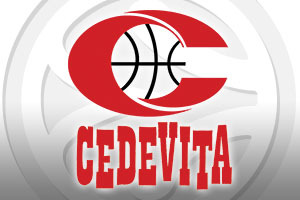 This was the second time that Cedevita triumphed over Anadolu this season, the first time at home, and both teams now hold a 2-2 record in the Top 16. It looked like being a comfortable win for the hosts, leading by 13 points in the third quarter but Derrick Brown hauled the Turkish side back into it and fans were treated to an exciting fourth quarter. There were two ties and 6 lead changes in the final quarter and the game was in the balance with less than 10 seconds left on the clock. Miro Bilan and Marko Arapovic both grabbed 16 points for the hosts while Luka Babic managed to deliver 12 points and 10 rebounds. Fan Pilepic also provided 12 points while Jacob Pullen notched 11 points for the winners. For the away team, Derrick Brown provided 17 points, 7 rebounds and 3 blocks, Dario Saric offered 16 points and Thomas Heurtel offered up 12 points and 10 assists in the loss. There were two tough games in Group F on Thursday but this meant that there was great drama and excitement for Euroleague fans. This was a game for people that love tense and physical matches and the home triumph sees both sides sitting with a 2-2 record in Group F. It was a close game in the first half, eventually settling at 34-34 at the break. The hosts then stepped up a gear, moving to 55-47 in the third quarter and got within 3 points at 30 minutes. The only time that the Russian side were in the lead came late on, at 69-70, but this triggered a 12-0 scoring run for the hosts, ensuring the home fans went home happy. Ioannis Bourousis had another great night, grabbing 19 points and 13 rebounds while Fabien Causuer offered up 15 points. Darius Adams notched 13 points, Toko Shengelia grabbed 11 points and Adam Hanga offered 10 points for the winners. Milos Teodosic was the best player for CSKA Moscow with 18 points and 7 assists while Kylie Hines notched a double-double with 11 points and 11 rebounds. Both Cory Higgins and Vitaly Fridzon grabbed 10 points for the Russian side. This is exactly the game and finish that you want to see in the Euroleague and the fact that it played out between the two biggest rivals in European basketball only added to the excitement. 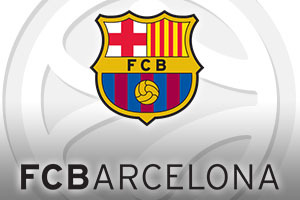 El Clasico in Madrid ended with the Catalan club defeating the Spanish masters and it came down to the buzzer. A swish by Justin Doellman gave the away side the win and both teams are now locked together with a 2-2 record in Group F.
The hosts had the better of the first half and an 18-0 scoring run saw them take control, leading 48-32 at half-time. Things looked bleak for Barcelona when Juan Carlos Navarro dropped out of the game with an injury but Stratos Perperoglou took control of the third quarter, grabbing 13 points, and a shot by Doellman put the away team in the lead. In the final quarter, the lead changed hands a few times. In the last minute, Real Madrid led by 5 points at 85-80 but Doellman grabbed a three points and Pau Ribas levelled the game at 85-85. Felipe Reyes could only bag one of his two free throws with 8.8 seconds left on the clock, which was just enough time for the Catalan club to work the ball to Doellman. The evening was a career high for the match-winner, grabbing 24 points and making 6 three-point shots without fail, a feat which levels the record in the Top 16. Perperoglou grabbed 13 points, Navarro provided 12 points and Shane Lawal offered 10 points from the bench. For Madrid, Sergio Rodriguez grabbed 18 points and 13 assists for a great double-double while both Felipe Reyes and Jaycee Carroll provide 14 points. Sergio Llull made his comeback from injury, picking up 13 points and Gustavo Ayon had 12 points for the losers.